SHOPRITE VALENTINES CONTEST TAGGED #VFORME. 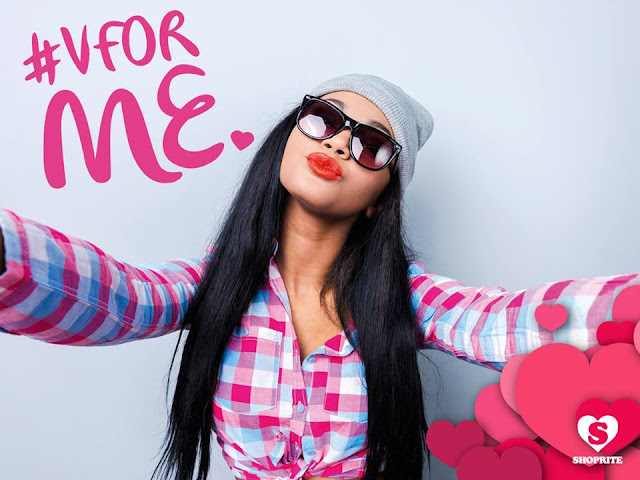 Be your own secret admirer and write a head-over-heels #VforME love poem to yourself and you could win a N5000 voucher! Winner announced 13 February. For Valentine’s Day I got a loving kiss from my sweetie. I would have got nothing at all if my sweetie wasn’t me.